A news feature from GazetteNet.com takes a closer look at recent environmental news headlines involving Holyoke and other parts of the Commonwealth Of Massachusetts. One issue discussed in the article is a large-scale effort to clean up the Connecticut River Watershed. The Watershed stretches over 400 miles through Vermont, New Hampshire, and Massachusetts, and the planned cleanup is scheduled to take place along the entire watershed in all three states. The cleanup is held each fall and usually attracts thousands of volunteers. Some of these volunteers will walk along the river and wade into the water, while others will use private boats to patrol the river and collect trash. Plastic bags are one of the most common types of trash found in rivers, and they have been known to kill animals and do all kinds of damage to the watershed environment. Another problem with the river is a major illegal tire dump site located nearby. Tires are hard to dispose of and cost money to destroy, so people tend to dump them illegally. Rivers and other bodies of water happen to be sites where unscrupulous people tend to throw them, and, with steel belts, these tires tend to sink to the bottom, where they are not seen until the pile gets much bigger. In addition to coverage about the watershed cleanup, which is an important issue and can hopefully help make the Commonwealth a better place to live, there is also discussion of a how a group of alleged asbestos violators have agreed with Massachusetts environmental regulators to enter into a consent order to dispose of ongoing litigation. Reports indicate a construction holding company has been cited for violations in the handling of solid waste and asbestos material in the Commonwealth of Massachusetts. 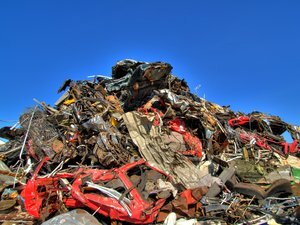 The trouble started when inspectors from the Massachusetts Department of Environmental Protection (MassDEP) discovered multiple piles of solid construction and demolition waste illegally dumped. Inspectors were immediately concerned, based upon the appearance of the debris, that it might contain asbestos fibers, so samples were collected and sent to a materials laboratory for testing. As our Boston mesothelioma attorneys can explain, there are many telltale signs that material is likely to contain asbestos. However, it is also the case that just because a material does not look like it would contain deadly asbestos fibers doesn’t mean it is safe and asbestos free. The only way to know for certain is have a sample taken to a lab to perform a microscopic examination to see if asbestos is present. However, it cannot be stressed enough that if you suspect asbestos in your home or place of business, you should not attempt to collect a sample own your own. You should call a certified asbestos abatement contractor, who will come and perform an inspection. The person taking the sample must do so in a way so as not to disturb the rest of the area and in a way that is safe to all workers in contact with the sample.